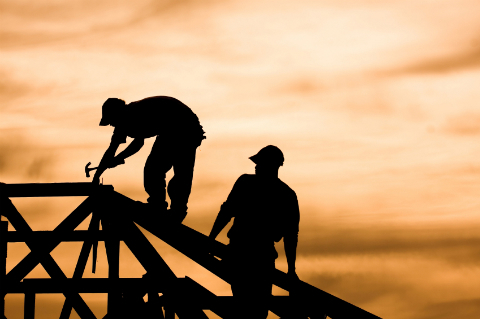 When it comes to roof replacement, it is important to know you made the right choice when choosing your contractor. How can you distinguish between one roof replacement estimate and another? There is no standard for a roof replacement cost estimate, but there are some key things you should look for when considering a roof replacement. The type of roof covering, the manufacturer and color. Estimated cost of all materials, including the roof covering, underlayment, flashing, drip edges, gutters and new ventilation if required. Does the cost estimate include tax? When are the payments due? As a rule, you should not pay in full until the job is completed, and you are satisfied with the workmanship. Do I get to keep extra shingles or tiles for repairs? Do you have insurance? A professional roofing company will carry both workers' compensation and liability insurance, lasting the entire duration of the job. If a company does not have insurance, walk away. Are you licensed? Be sure to cross-reference both the licensing and insurance with your local government. What is the warranty? You should be given a warranty on both the materials and the workmanship, as well as a detailed description of what is included, what is not, and what voids the warranty. Property damage: Who is responsible for the cost of damage incurred to your house or landscape during the installation? How long as have you been in business? Ask to see references and examples of similar roof replacement installations in your area. Make sure you have a contract, detailing all of the above. Given the large cost involved in a roof replacement, you might consider having a lawyer take a look at it. HomeAdvancement can connect you with qualified roofers in your area. Consider it "one-stop estimate shopping" - just fill out our inquiry form, and we will do the leg work for you. Up to five roofing companies will contact you to discuss your roof replacement needs, and from there, they can provide you with a roof replacement estimate. This service is free, there is no obligation, and the process will only take a few minutes.